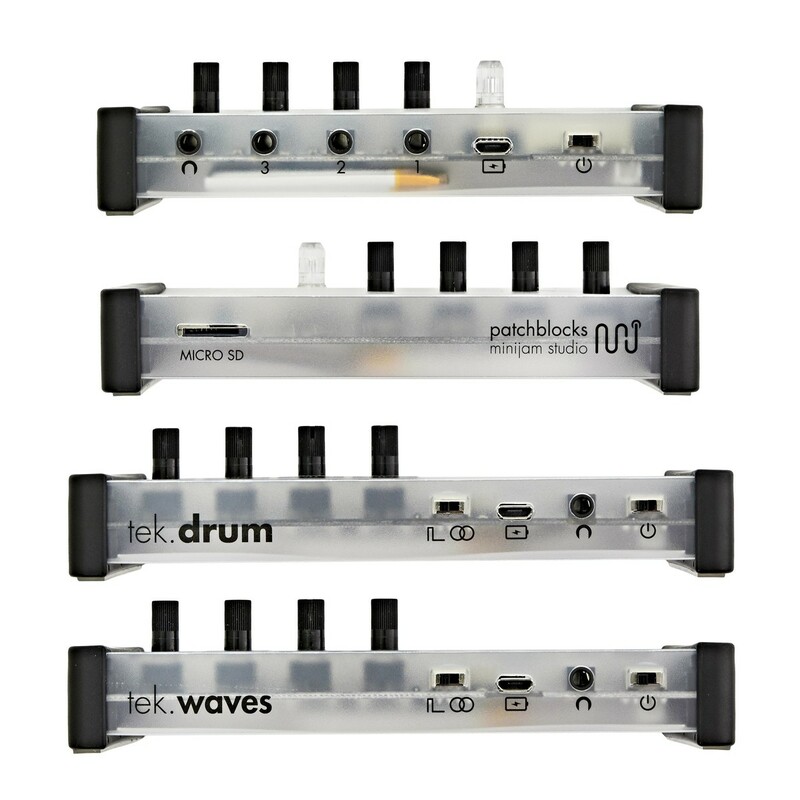 The Patchblocks Minijam Studio, Full Kit is a complete electronic hardware music studio, in a mini portable package. The bundle comprises of all Minijam devices including a drum machine, wavetable synthesizer, analogue filter, audio mixer, and a small portable speaker, all for jamming on. 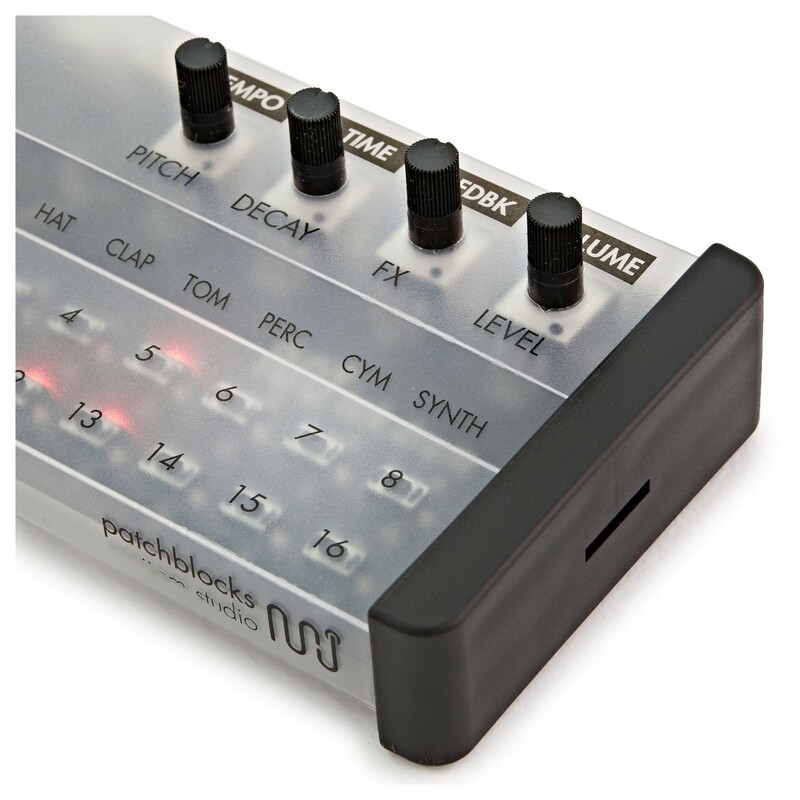 Ideal for both studio and live performance, the Patchblocks Minimjam Studio is easily portable due to the compact size. They are all powered by a built-in USB rechargeable battery, allowing you to jam and make music anywhere. The bundle provides you with a complete mini studio, and provides you with endless hours of on-the-move music making. 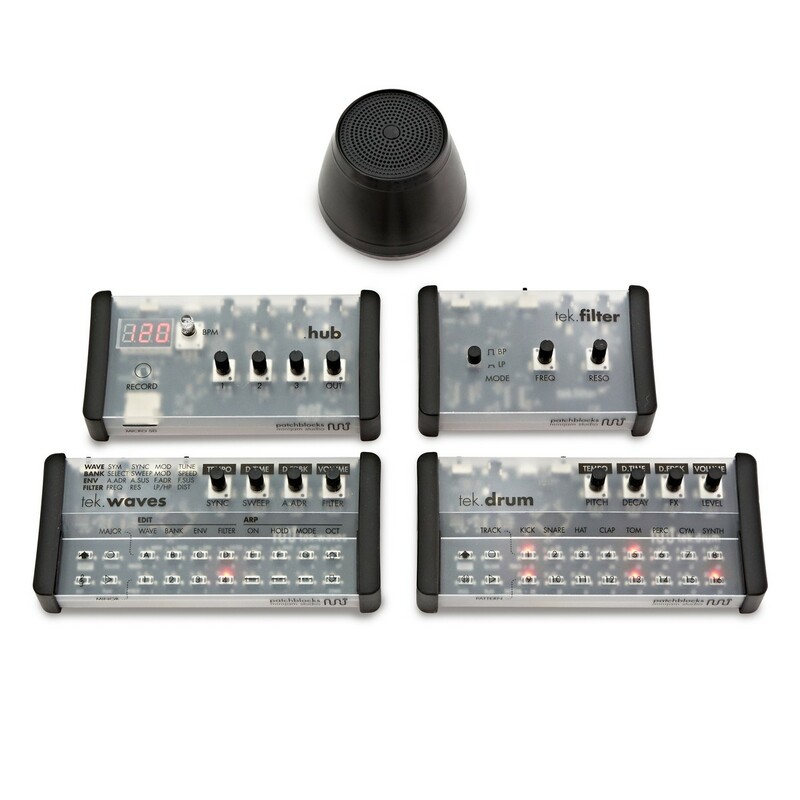 The Minijam Studio provides everything you need to create a unique live performance with drums, effects, a solid synthesizer, and a convenient mini speaker if you fancy having a quick jam at a party. The Patchblocks Minijam Studio is ideal for both the beginner looking to enter the electronic music world, or professional producer, looking for a powerful portable mini studio. The Patchblocks Minijam Studio, Full Kit is a entire mini studio that can be easily taken anywhere. 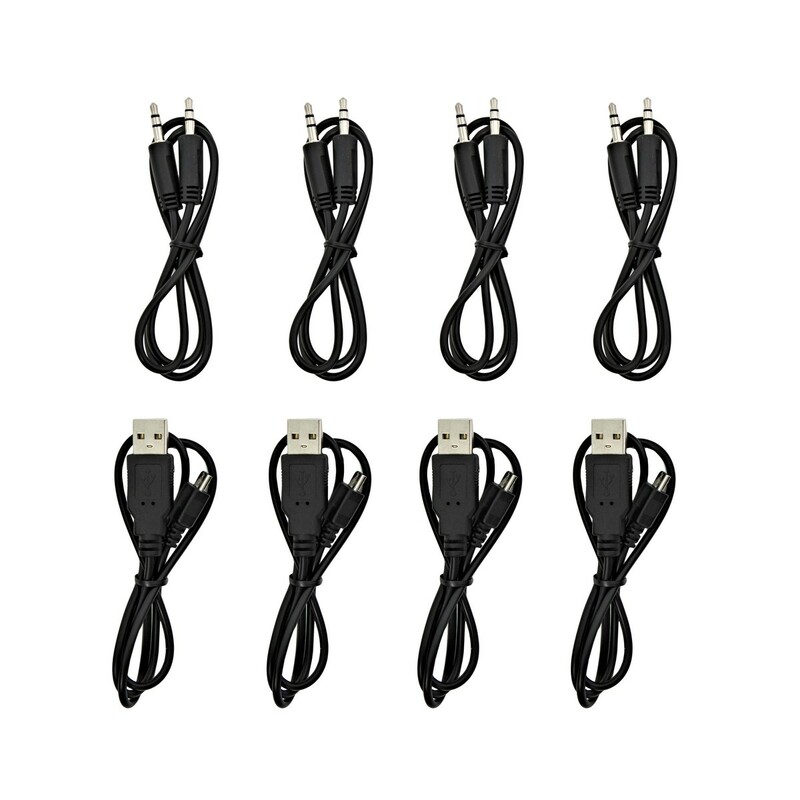 The bundle consists of the tek.drum, tek.waves, tek.filter, .hub audio mixer and recorder, boom portable speaker, 4 micro USB charging cables, and 4 3.5 mm stereo audio cables for connecting everything together. The compact size allows you to fit every single device into a standard sized backpack, allowing for easy portability and storage. The Minijam Studio allows an unbelievable amount of sound editing, and hours of endless fun and experimentation, plus on the move producing and recording. Each module produces top-notch sound quality. The synthesizer and drum machine produce punchy, tight low end, and clean high end, whilst the filter delivers a clean filter cutoff, and the audio mixer allows you to record your performance. The 8 voice drum machine packs a punch for its size. 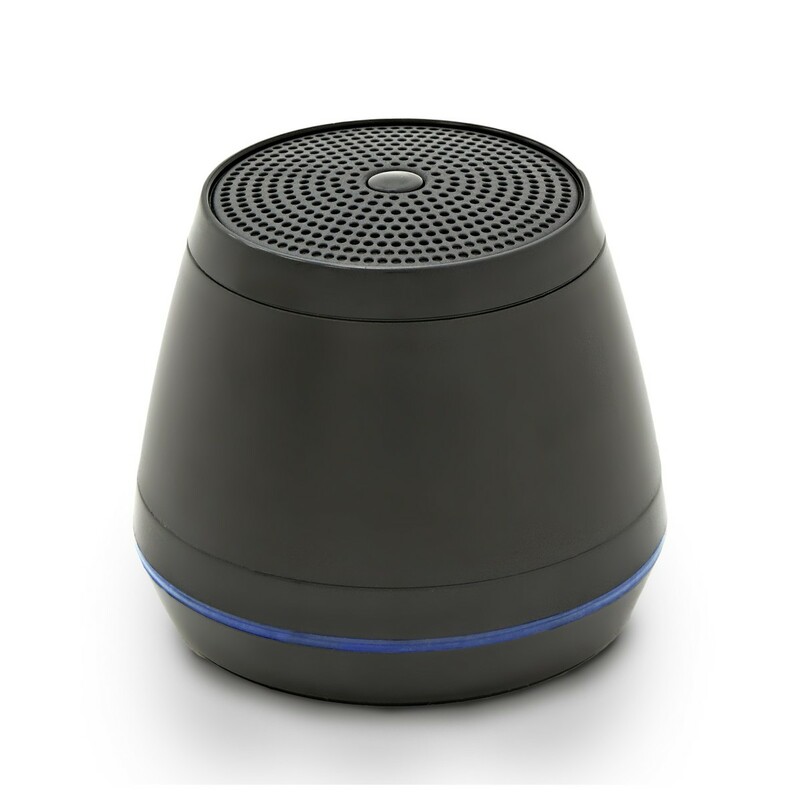 It features 8 unique drum voices with 4 adjustable sound parameters per voice. 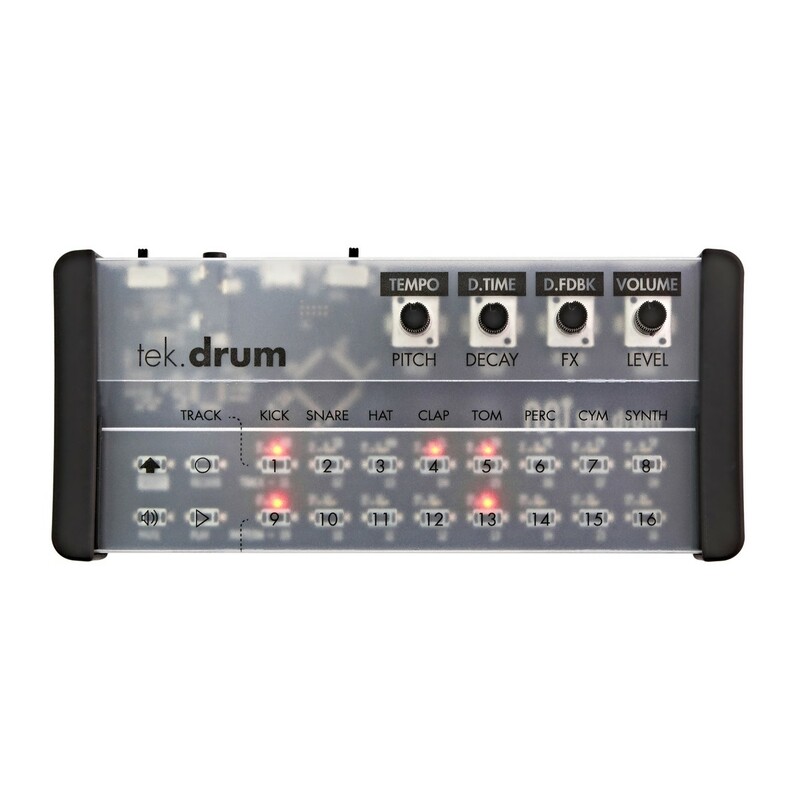 The tek.drum features 8 programmable 16 step patterns. Allowing you to create a wide range of different patterns. Additionally, the tek.drum comes with a built-in delay effect for spicing up your drums when playing live. Each of the drum channels are editable, allowing you to change pitch, decay time, and FX amount. 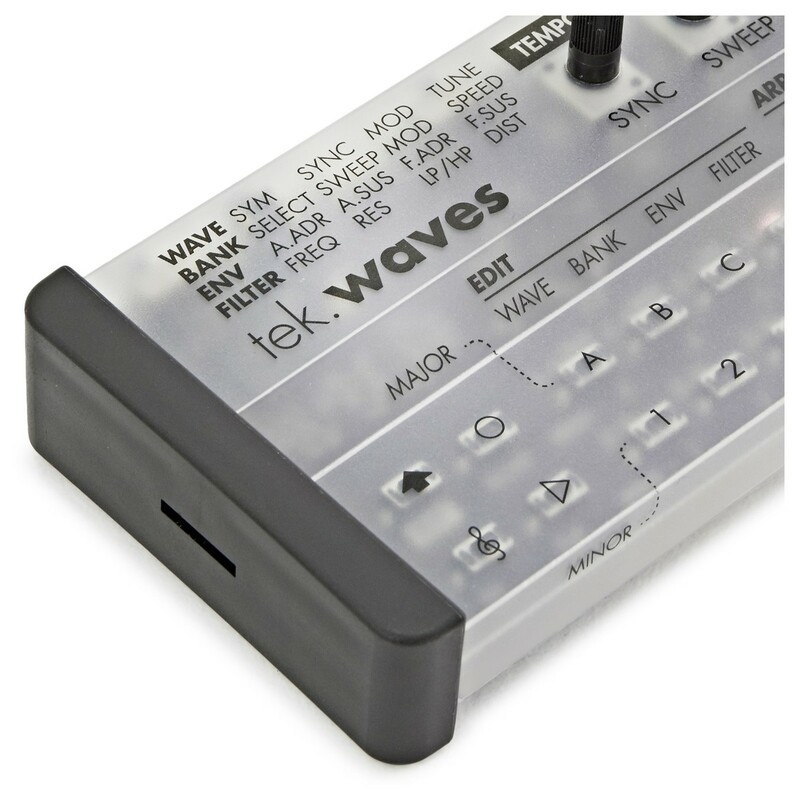 The tek.waves is a portable 3 voice wavetable synthesizer with a built-in sequencer, arpeggiator, parameter automation, and delay effect, allowing for a wide range of flexibility. Its keyboard can play over 2 octaves within a selected key, making creating melodies easy. The sequence can be modulated to a new key, or switched to an arpeggio. Its arpeggiator features settings for hold, octave range, and arp mode. The tempo can also be synced by external triggers. 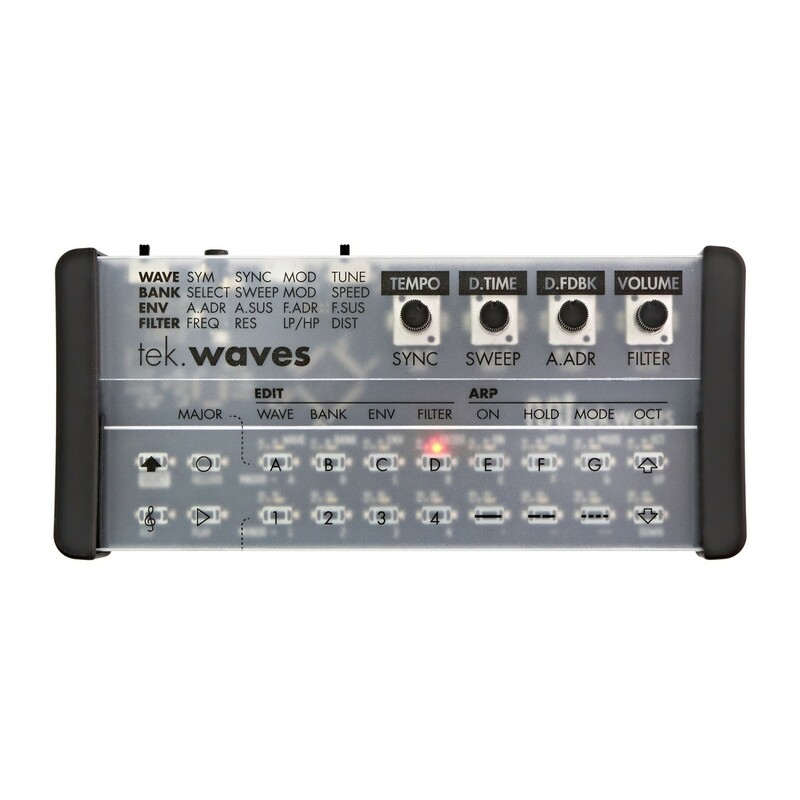 The tek.waves synthesizer is a small yet versatile lead synthesizer, featuring a range of controls for tweaking sound, including filter settings, adjustable built-in echo, and envelope settings. The tek.waves provides an unbelievable amount of patch edit-ability, using the 4 knobs on top. Additionally, you can also saves patterns and automation to flash. 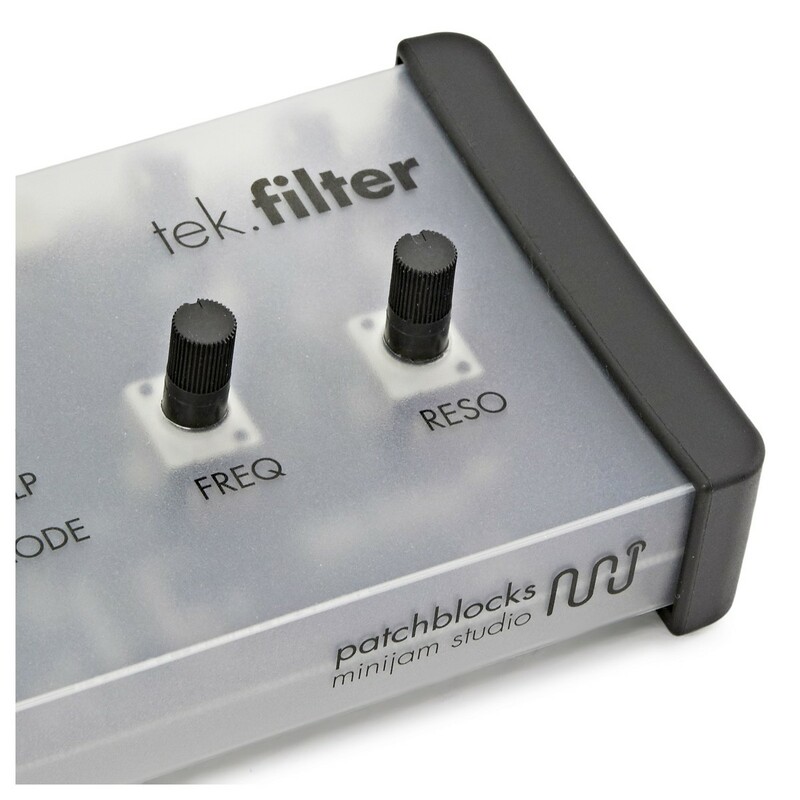 As well as the powerful drum machine and synthesizer, the Patchblocks Minijam Studio comes with an analogue filter that features low-pass and band-pass modes. It can be used in combination with the other modules in the pack, or with other audio sources. 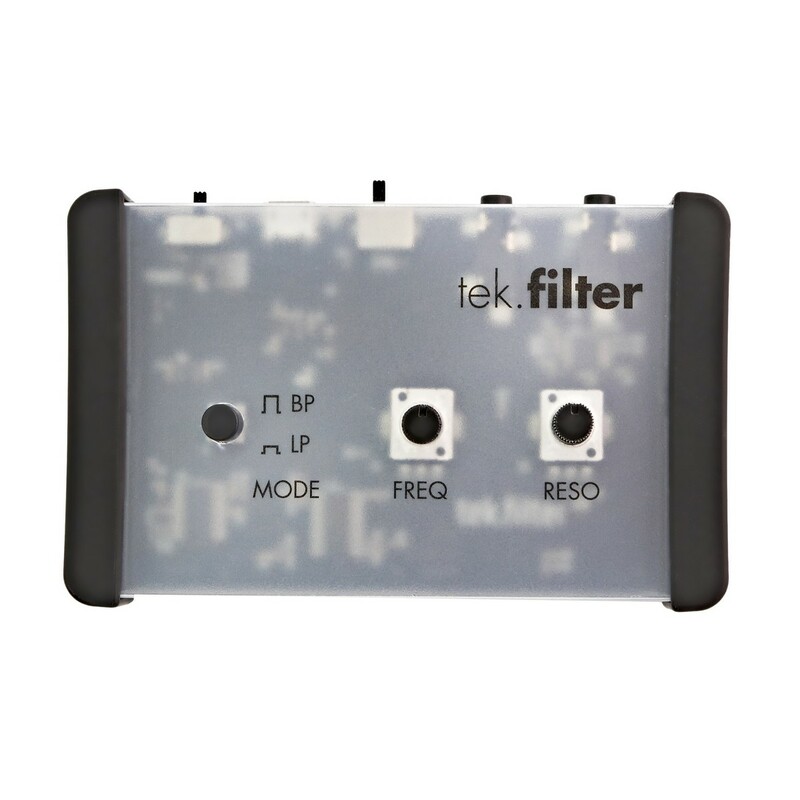 Featuring controls for filter cutoff frequency and resonance, the tek.filter allows you to create the classic squelchy filter sound, as well as filter sweeps. The Minijam .hub is a 3 channel audio mixer with built-in tempo synchronisation, and SD card recording. The .hub has been designed to work seamlessly with the other Minijam instruments, but also with equipment from other manufacturers in conjunction with a stereo to dual mono splitter cable (included). The .hub allows you to record a performances that you have created on the other Minijam devices, allowing you to quickly get ideas down and save them for later. 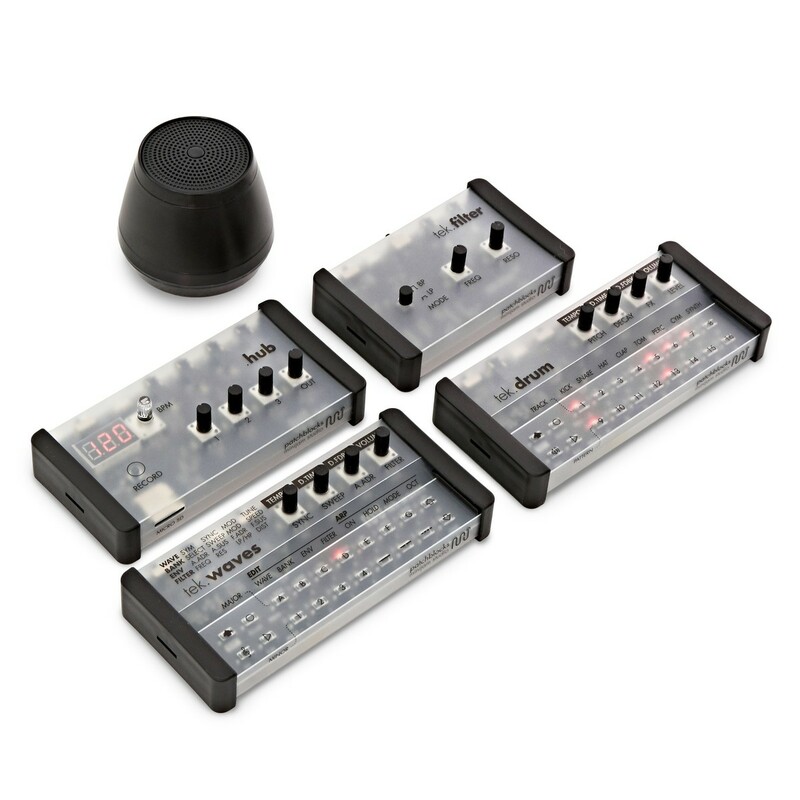 All of the 3 inputs can be connected to each Minijam instrument, allowing you to adjust volume level of each. All inputs are based on 3.5mm jacks. The left channel sends triggers to connected devices for tempo synchronisation. 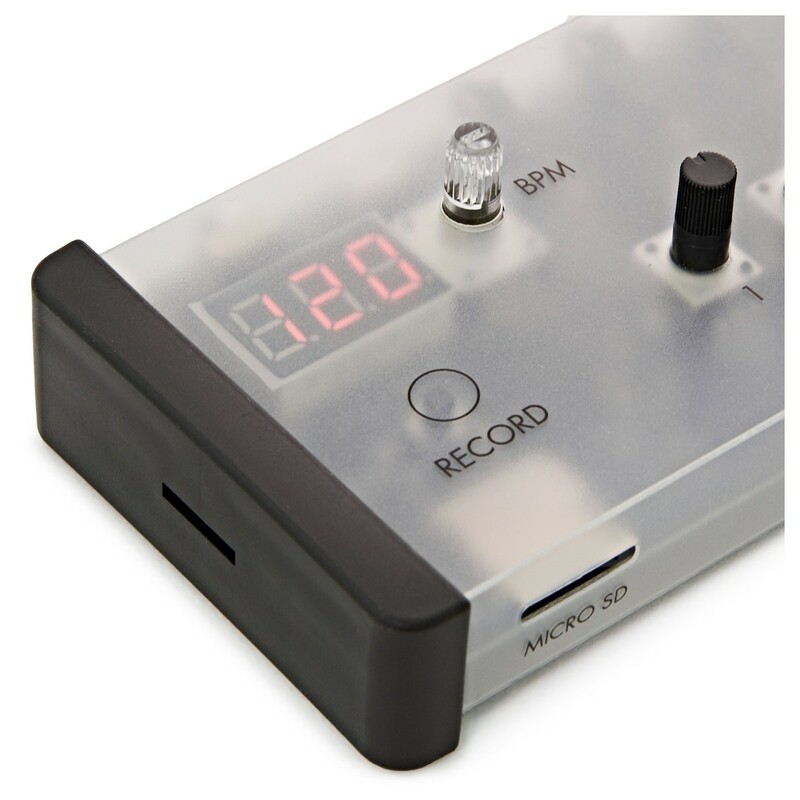 With a push of a button you can record your performance onto SD card.